Conference Context is a blog series discussing local history and contemporary topics in our next Annual Meeting destination: Kansas City, Missouri. We hope this series provides insight into the complex history and issues of this and future host cities so readers have the background to better understand and explore the perspectives and challenges of local historical institutions during the conference. 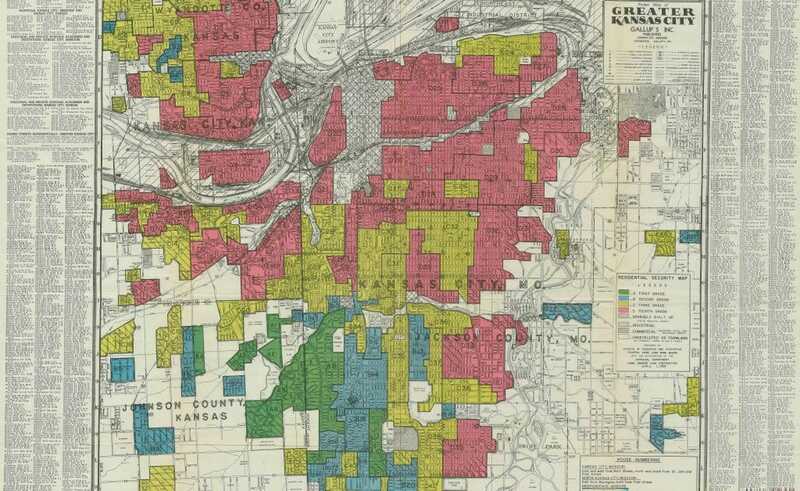 An example of a “redlining” map from Kansas City, ca. 1939. Courtesy of the National Archives and Record Administration. This year’s AASLH Annual Meeting theme, “Truth or Consequences,” has special relevance in Johnson County, Kansas, the county bordering western Kansas City, Missouri. The relationship between Kansas City and Johnson County is long and complex, full of mutual benefit and a fair dose of competition. What one does inevitably affects the other. In the twentieth century, the intertwined history of housing policy and civil rights in Kansas City drove the suburban development of northeastern Johnson County. During the Great Depression, the U.S. government enacted policies, such as the Federal Housing Act (FHA), to help Americans secure and maintain home mortgages. In the process of getting the mortgage industry on the “same page” across the nation, realtors and banks developed maps that labeled neighborhoods with four distinct, hierarchical grades. “Redlining” practices determined “favorable” neighborhoods, in which residents seeking a mortgage could obtain one, versus “undesirable” neighborhoods, in which mortgages were deemed un-insurable. These neighborhoods were outlined in red. With many aging neighborhoods in its city limits, Kansas City’s redlined areas increased. Homes within the redlined areas fell into disrepair and often were converted from single-family homes into multi-family apartments. Unable to secure mortgages in these areas, many white Kansas Citians moved to younger southern neighborhoods, or to new suburban developments in northeastern Johnson County. The redlined neighborhoods were left to African American populations as housing prices fell. “White flight,” as this movement has been called, from Kansas City’s redlined urban areas was one of the prime causes of Johnson County’s suburban development. Following WWII, northeastern Johnson County suburban developments were built for exclusively white residents. Deed restrictions, sometimes called covenants, prohibited African Americans, Jews, and others deemed non-white, from legally purchasing or renting the property. This practice was used extensively during the 1920s by Kansas City community planner J.C. Nichols, the developer of Country Club Plaza, many of the wealthy neighborhoods along Ward Parkway, and the country clubs hugging State Line Road. Fearing that redlining might someday be applied to his developments, Nichols ensured that the neighborhoods would remain residential and white by using deed restrictions. Nichols’s housing policies and his founding role in the Urban Land Institute influenced developers across the nation. In 1966, Donald Sewing, an African American realtor from Kansas City, Kansas, and his family moved into a home in Fairway, Kansas. The Sewings were the first black family in this city. Over the next five years, Sewing sold homes across the area to African American families, using what he called the “scatter” approach to increase contact between African American and white families but decrease the possibility of “blockbusting”—the fleeing of white neighbors after black families arrived. By 1971, Sewing assisted sixty black families with purchasing a new home in a suburban development. At the same time, the Olathe Urban Renewal Project (OURP) began in 1967. Implemented across the nation, urban renewal projects sought to modernize communities, but the improvements often fractured communities of color. With the aim of creating a newer downtown, the OURP also wanted to remove the blighted, predominantly African American community of Fairview, and replace it with modern homes. Many Fairview residents worried that they would not be able to afford the new homes and thus be forced to move. 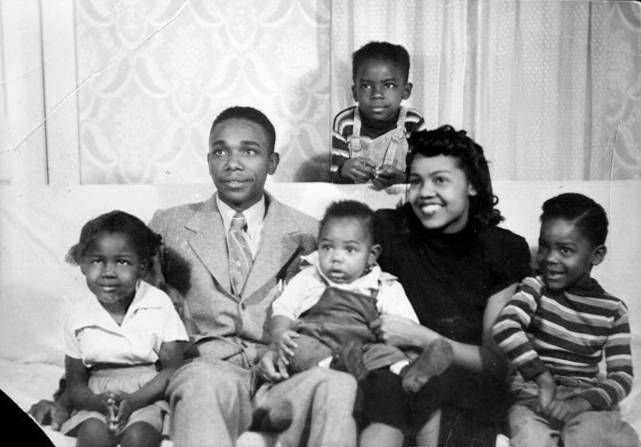 Joe Person and family. Courtesy of Johnson County Museum. Ruth Shechter, a white equal housing proponent in the county, teamed with Joe Person of the Fairview Neighborhood Council to create the non-profit Homes Evaluation and Rehabilitation (H.E.R.E.). This organization bought homes deemed “sub-standard” by the OURP, made the needed repairs to the structures, and sold them back to the original owners with low-interest, long-term FHA loans. Person, a WWII veteran and respected member of the Fairview community, had the difficult role of mediating between his neighbors and the OURP. He was able to convince Fairview residents to approve the project, but in an ironic twist, was prohibited from participating in the program himself because of his involvement in the OURP. Ultimately, the Persons were one of thirty-three African American families forced to move, priced out of the new neighborhood that Person himself helped to facilitate. These policies, events, and issues have shaped Johnson County’s development and its perception by non-residents even today. Often perceived as the white suburb that it was nearly sixty years ago, Johnson County, although more diverse today, continues to struggle with inclusion, representation, and housing discrimination. Kansas City, too, has been shaped by its racial past, and continues to contend with the “Troost Wall,” a racial barrier that developed along Troost Avenue, the western boundary of many of the redlined neighborhoods. The history of suburbanization in Johnson County is complex and its legacy long-lasting. The Johnson County Museum includes this history in its exhibits, not only to inform visitors about often-overlooked narratives, but to start dialogues within the community about what a future with more diversity looks like. The theme “Truth or Consequences” perfectly describes the inclusion of these important stories in the Johnson County Museum’s Becoming Johnson County exhibit.